Now available online, new Urban Zen. 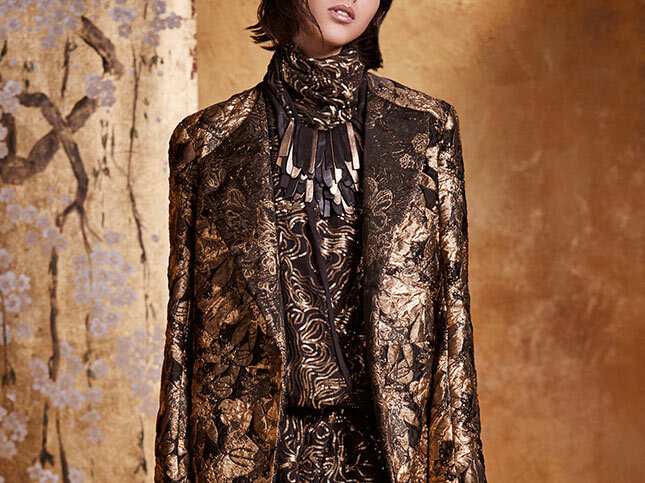 From Donna Karen’s Urban Zen Orient Express Holiday collection, we have received to jackets with a textured textile in gold and black or a the classic black on black. This latest shipment is available online and in-store at Santa Fe Dry Goods on the Plaza in Santa Fe, New Mexico.